In our fast-moving world, breaking news is often important. It’s also sometimes nonsense. 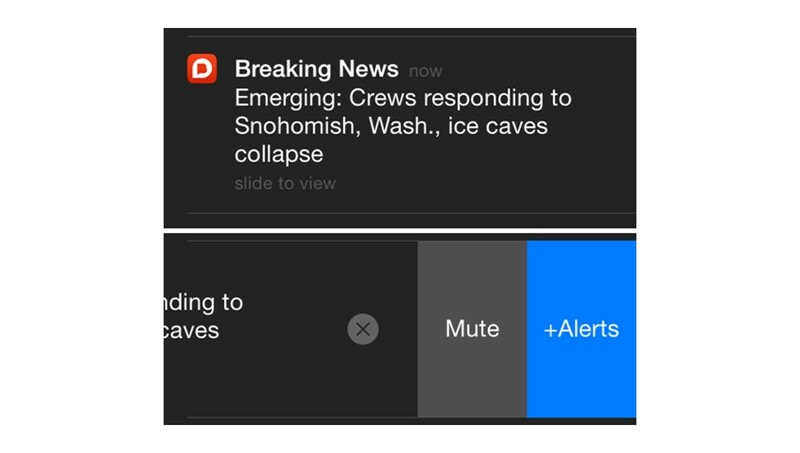 To cut through the fog, the Breaking News app will now send alerts for emerging news, and allow you to subscribe to the topic for further updates on iOS. The company says it will use a combination of eyewitness accounts and the experience of editors to track what could balloon into a larger storyline. You won’t be inundated with nonsense, either; Breaking News says it will only feed 1-3 breaking news items per day, and users will likely see it there first. Emerging stories shouldn’t be confused with trending topics or velocity alerts. At this early stage of a story, they’re not trending anywhere. They’re not big enough to trigger a big story alert – some ultimately do – but we know there’s an audience who will want the early heads-up. The new feature arrives alongside its iOS and Android app updates. Those on iOS can slide a notification to the right andhoose to receive additional updates if it’s a story they’d like to follow closely.